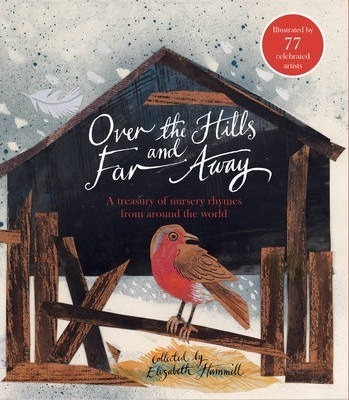 Over the Hills and Far Away is a stunning collection of nursery rhymes from all over the world. There are familiar rhymes like ‘Sing a Song of Sixpence’ and ‘This Little Pig’ as well as less widely known rhymes from all over the world. Look out for ‘Mosquito One’ from Trinidad, ‘Little Sally Water’ from the Caribbean and ‘We Keep a Dog’ from China/America. But wait, there’s more – much more. This collection includes the artwork of over 75 illustrators. Some will be instantly recognisable (Eric Carle, Pamela Allen, Gus Gordon, Bob Graham, Ann James, Pat Hutchins, Shirley Hughes) but there are so many more. So many different styles. There is something here for every reader, every art lover. A perfect gift book for a new (or not so new) baby.